A permanent residence permit in Belarus (hereinafter — PRP) is almost equivalent to a Belarusian passport. 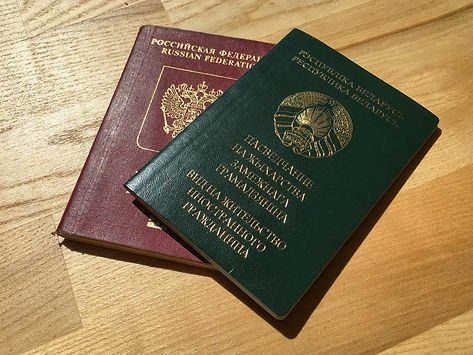 It grants foreigners the same scope of rights that Belarusian citizens have. Except for electoral rights – such as the right to vote and the right to be elected. Only Russian citizens with a PRP may take part in local elections. Also, it does not grant foreign citizens the right to serve as public officers. As well as acquire ownership rights over land. Other benefits, such as free medical service, free education, welfare, and retirement payments apply to those holding PRPs on the same conditions as they do to Belarusian citizens. have the right of obtaining a PRP on other grounds stipulated in the international treaties to which the Republic of Belarus is a party. For instance, Russian citizens have the right to obtain a PRP simply on the ground of them being Russian citizens. In case you have none of the above-mentioned grounds for obtaining a PRP, you may still obtain a temporary residence permit. documents on the registration in the place of living and documents certifying the possibility of permanently residing in that place. For instance, documents confirming the right of ownership or a lease or tenancy agreement. For information on registering in the place of living please refer to our previous materials. Depending on a particular situation and grounds of obtaining the PRP, the list of documents is subject to change. Yet the core documents remain the same. One of the first things you should do is go through a fingerprint scanning procedure (DACTO). Since the results are normally forwarded to the CaMD within a month the PRP procedure wouldn’t start without it. DACTO is free of charge. Be sure to take wet wipes with you — in order to wipe away the paint. The document on the presence or absence of convictions brought against you in the state you previously lived in may be acquired in the state of citizenship. If you do not want to or cannot go there, such documents may also be issued in the embassy or consulate of the state of your citizenship. Acquiring such a document through an embassy may cost around $30-50. The autobiography may be written in any format. Typically, it lists the key life events — places and times of studying, working and living, information about close relatives. In order to obtain a medical certificate, you must first go to the necessary doctors and do the necessary tests. It may be done in a regular state clinic or in private medical centers. In any case, you will have to pay for all appointments and tests. If you decide to go through the necessary procedures in a regular state clinic, be prepared to schedule appointments in advance. You’ll need to do HIV and syphilis tests, as well as to go to dermatovenerologist. Also, pay attention to the terms. Some tests are valid for a month, some — for three days. A medical certificate is valid from the day of its issuance. The approximate sum you will have to spend on going through the necessary medical procedures is 200-250 Belarusian rubles (approximately 80-100 euro). The document on the registration in the place of living may be obtained in the Accounting and Information Centre (hereinafter — the AIC) of the district where you are registered or plane to be registered. In order to obtain this document, you must go to the AIC with documents related to the flat (house) and the owner of the flat (house), fill out an application and obtain the certificate. The procedure takes approximately 30 minutes. State fee for obtaining the PRP is 2 basic units (approximately 20 euro). The PRP form costs 1 basic unit (approximately 10 euro). Registration in the place of living costs 0,5 basic units (approximately 5 euro). Once you submit all the necessary documents to the CaMD, you are to receive your PRP within 3 months. You will first receive a letter to your place of registration stating whether or not the CaMD is ready to give you the PRP. Then go to the CaMD one more time with additional documents as stipulated in the letter. The first PRP is usually issued for 2 years and it may further be extended for 5 more years if you still have grounds for having it. have been granted Belarusian citizenship.